Banglalink is a well known mobile phone operator in Bangladesh and today we will let you know how to get emergency balance in Banglalink. 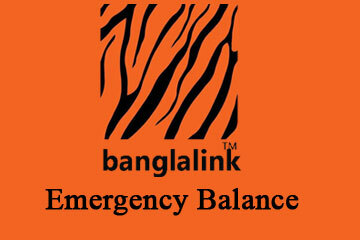 There is a banglalink emergency balance code to get that Advance Balance. The minimum amount of Advance balance is TK 10 and maximum TK 100. It depend on your usage. This balance can be used in any purpose but with a limited validity. When you will researcher your phone, that loan amount will automatically deduct form your current balance. Another note is that if your balance more then TK 5 , you will not get that loan amount. If should be 5 or less then 5. If you already using Advance balance and not recharged yet, you will not get another emergence balance. So, first you have to back the load amount and then you can clam the next Advance Balance.